When Quentin Quill is hospitalized for excessive celery intake after eating a too soft diet of canned ravioli, Toppie attempts to save from hunger, a mouse near and dear to Quentin’s heart. CRAZY ANNOUNCEMENT: Toppie will perform the Smellcast LIVE over at Pride48.com Saturday night, June 23, at 10:00 pm as part of Pride48’s LIVE JUNE STREAMING EVENT! Be there in the chat room! LIVE! UNEDITED (mostly)! Presenting Toppie’s 2017 live episode of the Smellcast for Pride48! In which Toppie attempts to stream live with Jock Mastercock. And stuff like that. sc 2016 Pride48 Live Super-Special REDUX! CONTEST WINNER ANNOUNCED! Not to mention…. A DO-OVER!! Write to Toppie at Smellcast@aol.com. Leave a comment right here on Toppie’s blog. Follow him on Twitter and Google+. Look at kooky stuff on smellcast.tumblr.com. Call Toppie’s listener call-in line! Comment! Leave a message! NOT TO BE MISSED! Well…. mostly. It’s train wreck city from the get go! Don’t miss Toppie’s attempt to perform LIVE LIVE LIVE on Pride48.com. UGH! Barely in time, Toppie presents his SUPER-SPECIAL Prelude to 2016’s summer Pride48 LIVE STREAMING EVENT! Uhhh…. Toppie is exhausted… carry on…. 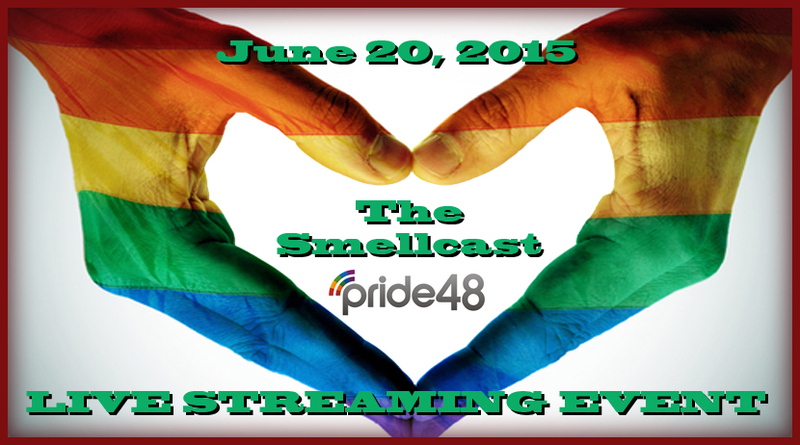 The Smellcast: Pride48 June 2015 Live Streaming Event! This is the Smellcast’s contribution to Pride48’s Live Streaming Event for June 2015. Special thanks to Tim and James from the TASTES LIKE BURNING podcast for their contributions to this episode.